Google have just announced a range of new smart watches. Devices, linked to your smartphone that sit on your wrist and let you know about incoming calls or messages and enable you to use apps and reject calls without even taking your phone out of your bag. These newbies join some existing products with more thought to be on the way from Apple and microsoft in the near future. 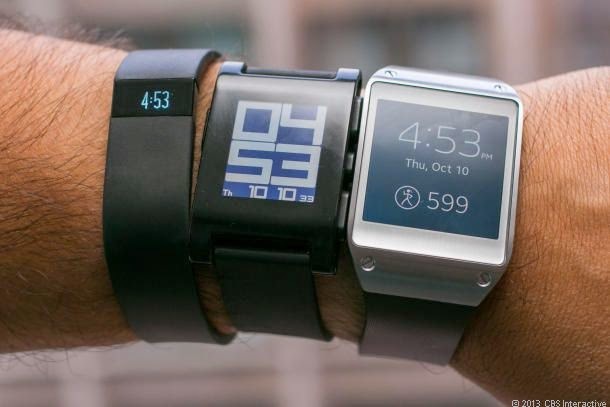 There’s a lot of talk about “wearables” being the next big thing in consumer tech. As a self declared gadget lover I’m kind of itching to get one of these things, but none of them has yet convinced me to stump up the (considerable) cost. The thing is, they are just all a bit big and blokey and I think the manufacturers are missing a trick here – where are the smart watches aimed at Mums? Most of these reasons really actually apply to all women, not just the mums. Blokes wear trousers all the time. Trousers have pockets. Women often don’t have pockets or not ones that are big enough to hold a smart phone safely and without an unsightly bulge. So the phone goes in the bag and has to be dug out from amongst the nappies, spare clothes and unidentified sticky things, everytime it starts to buzz. It would be so much more convenient to leave the phone working away in your bag and peek at your messages on your wrist. There are times when your phone really needs to be on silent and it would be inappropriate to be seen fiddling with it. Unfortunately if you are a Mum there are pretty much no times when you don’t want to be able to take that emergency call from school or nursery. A smart watch would be a great help here. No fumbling in your bag whispering apologies every five minutes, just glance at your wrist, realise it’s another bloody sales call and send it off to voice mail with a flick of your finger. 62% of those using fitness apps are women. The biggest group of these are aged 25-54. That’s clearly going to include a heck of a lot of Mums. Most smart watches will integrate with fitness apps such as runkeeper or Samsung’s own brand S-health system. Some also promise built in heart rate monitors, calorie trackers and sleep monitors that claim they could help you get a better nights rest – seriously – who’ll want that more than Mums?? We blog, we tweet, we text etc. etc. etc. It’s not unusual for me to be arranging a playdate while on my way to said playdate, pushing a buggy, dolling out snacks and trying to read texts and emails on my increasingly large smartphone. It would be so much easier if those texts just popped up on the buggy pushing arm! We like them, we buy them and (lets be honest) we get other people to buy them for us. 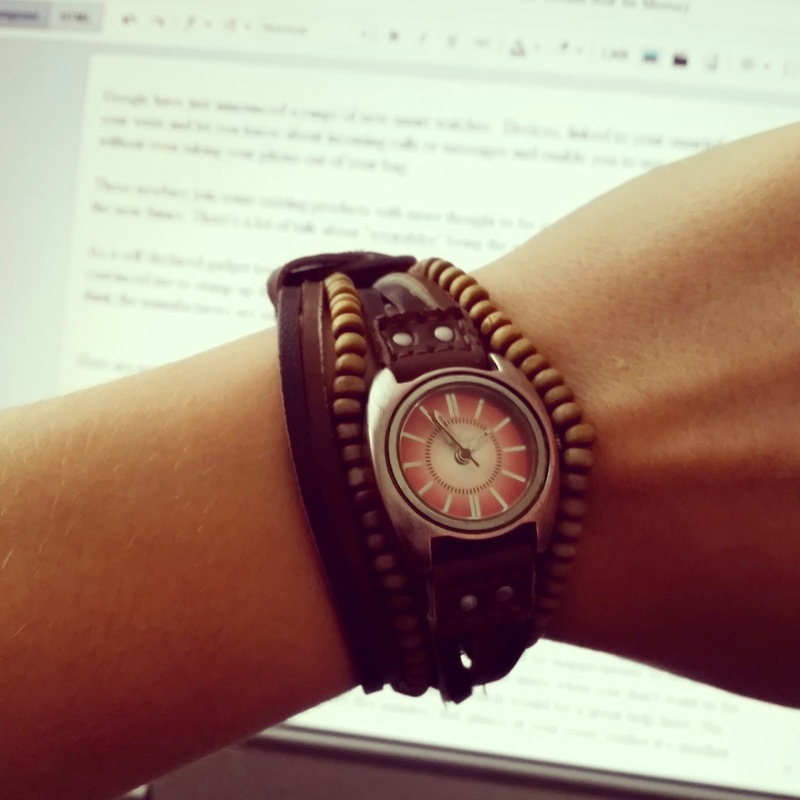 But the current offerings are going to look pretty big and clunky on a female wrist – come on designers let’s have something for the geeky girls! I’ve started a Pinterest board with pictures of current or coming soon smartwatches – you can take a look here Currently I’d say the best looking least ugly are the Moto watch but that’s not actually out yet and the Samsung Gear fit, but that has limited functions and only works with Samsung phones. Previous: Previous post: Some Poxy Questions – And Why Doesn’t the UK Vaccinate Against Chicken Pox?